Our frequent visitor. The three-legged deer. He’s not completely missing a leg, he just walks around with his front right leg pulled up like a flamingo. I wish we knew what happened – maybe he got nicked by a car or tangled up somehow in the woods. He’s been coming around our house for about a year, so maybe it’s time we give him a name. I’m kind of amazed he survived all this time and how big he’s gotten. When we came home from a bike ride, I slowly approached him to take a picture. Even from a distance it seemed like he was 4 or 5 feet tall. It’s likely he’s responsible for our early gardening season losses. Luckily this time he was munching on the bushes at the edge of the woods line. It only took four days. 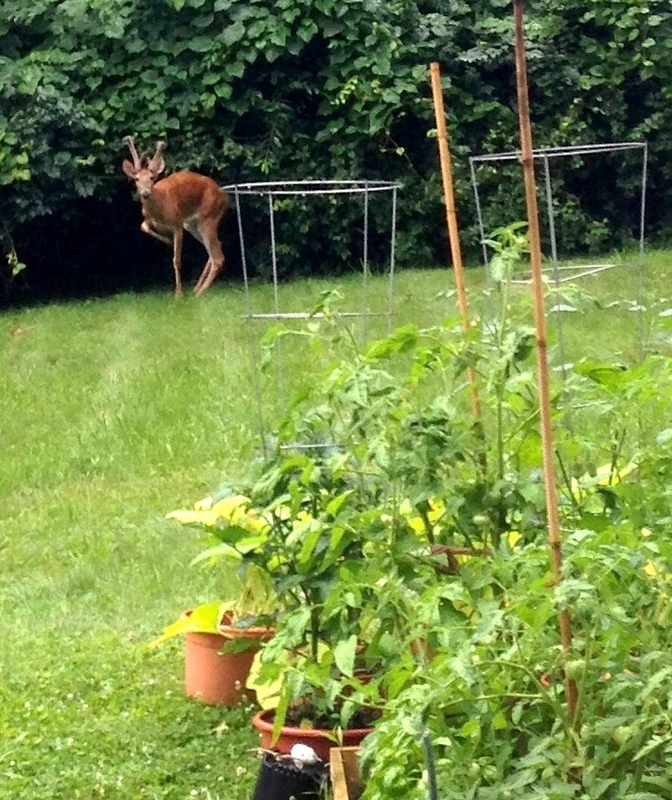 That’s how long the deer “waited” before feasting on our newly planted vegetables. 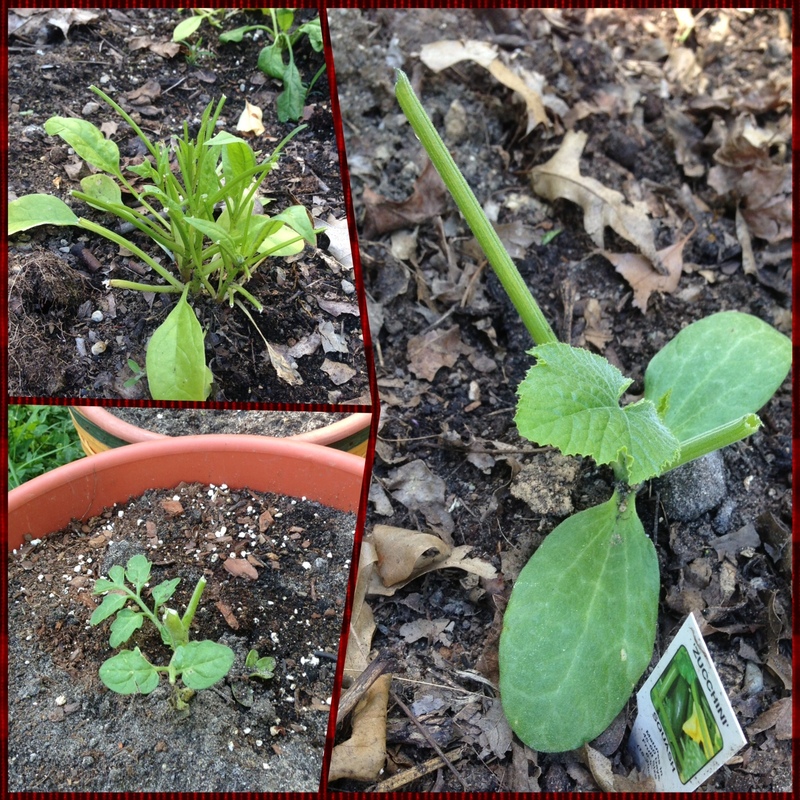 We planted the majority of our garden this past Sunday and after a couple days, everything seemed fine. From bottom left: Tomato, spinach and zucchini all eaten by deer. There was a little bit of a pepper leaf torn off, but not a big deal. Then, checking our garden this afternoon, we saw the full brunt of the damage, along with a few hoof prints left behind in the soil. Our spinach was sheared to stems and the cherry/grape tomato plants were chewed to nubs. The deer also did a number on our pea and ate all but a couple leaves from both our zucchini plants. Oddly enough, they left the yellow squash alone. 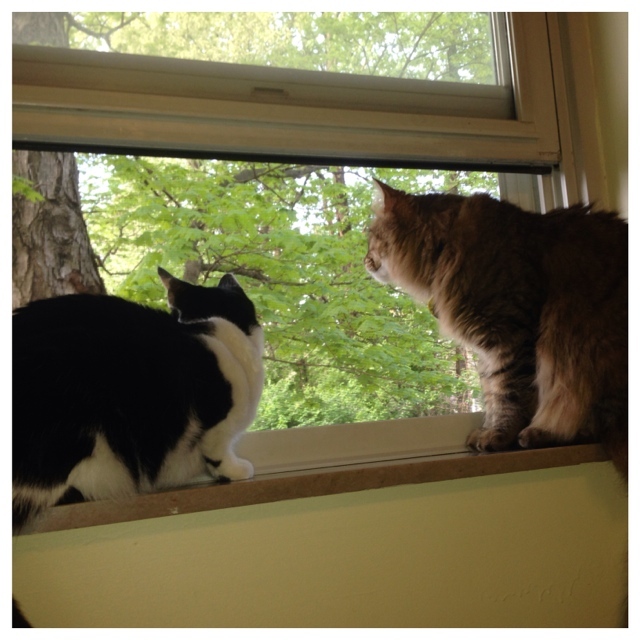 I also think it is a bit strange that for two months they never nibbled on the growing spinach, peas or lettuce and somehow decided this was the opportune moment. So now we’re in full defense mode against these beasts, which, under any other circumstance, I don’t mind having around our house. Mixed together with water, this helps deter deer. 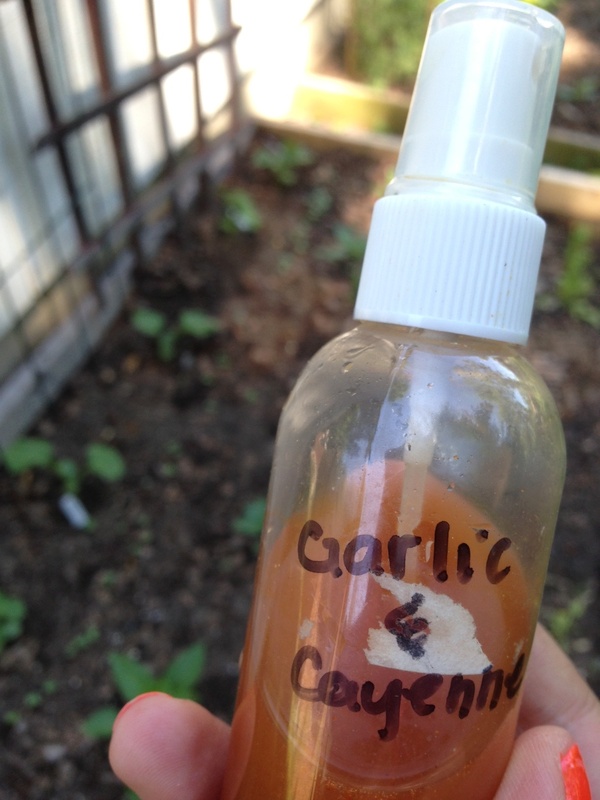 Garlic and cayenne pepper. I tried this toward the end of last year and it seemed to work. I mix the powdered versions (what you buy in the spice aisle at the grocery store) with water and spray generously around and on the plants. I might even add egg or milk to the mix to help it stick to the leaves. Mint. We’ll move our mint pot to the area we want to protect. Apparently the strong smell is not so pleasing to the deer. Marigolds. It’s the same idea as above. The strong smell is supposed to keep the deer away. Probably buy several of these to put near each raised bed. Other plants could help and we might try those too. We’ve bought two replacement zucchini and transplanted the others to pots and will do the same for the tomatoes. Last year the deer damaged tomato plants recovered a bit and actually produced some. The only positive to this situation is that the deer ate everything early. If it must happen, I’d rather it be now than when the plants are well established. It’s been about a month since we put everything in the ground, and so far our garden looks promising. That’s not to say we haven’t had any problems. We’ve battled everything from deer to slugs and a variety of other creatures and insects that seem set on ruining our garden. Because so much has happened in the past several weeks, I’m going to break this up into a bunch of smaller posts. I’ll start with peppers because those seem to be our golden crop. In a little more than a week our plants have gone from a handful of blossoms on a few stalks to actual fruits starting to emerge. 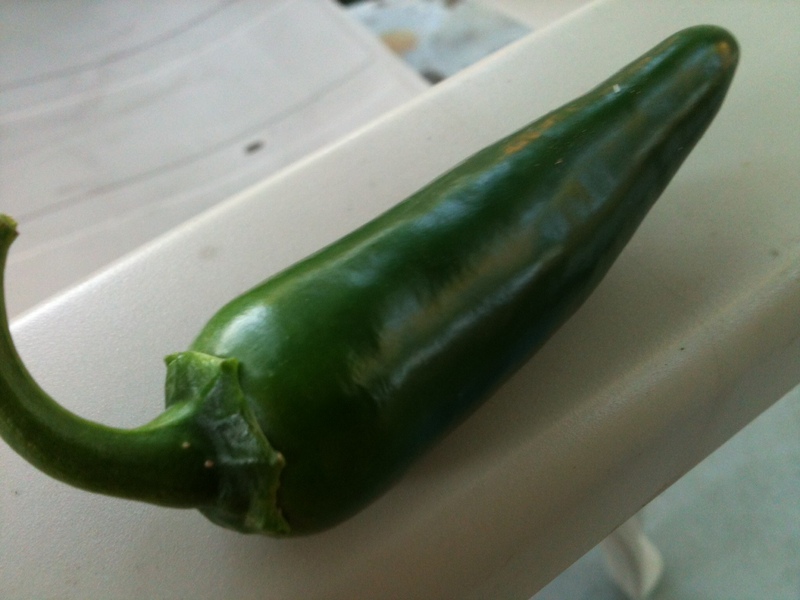 We got our first “harvest” on June 19 with one jalapeño. I’m kind of amazed it came so soon, but the weather has been above average temperatures for most of the year. We love spicy food so I’m hoping this is a good sign. 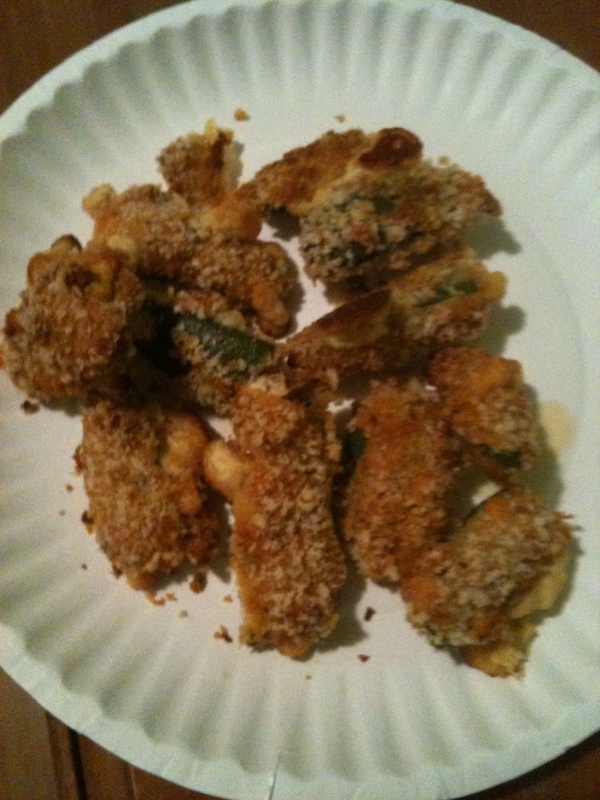 Homemade jalapeño poppers from last year. Last year, the jalapeños were super productive (we almost always had a steady supply of 6-8 peppers). At one point, I didn’t know what to do with the 20+ jalapeños we had at one time, and then I found a recipe for homemade jalapeño poppers. They were kind of a pain to make but absolutely delicious. I’d love to have enough to make those again this summer!